Yesterday, my oldest had a soccer tournament. she played 4 mini games followed by a pizza party. I spent 6 hours outside....with no sunscreen! YIKES! My nose and neck are red, red, red! Yesterdays high was only 62, but when you live in the high dessert, that is enough to burn you. I should have known better. Today, we went to the early church service, so I could come home and cut, cut, cut! I wish I had taken a BEFORE picture of my lamination pile. My fingers are sore, but I am all ready for this week! 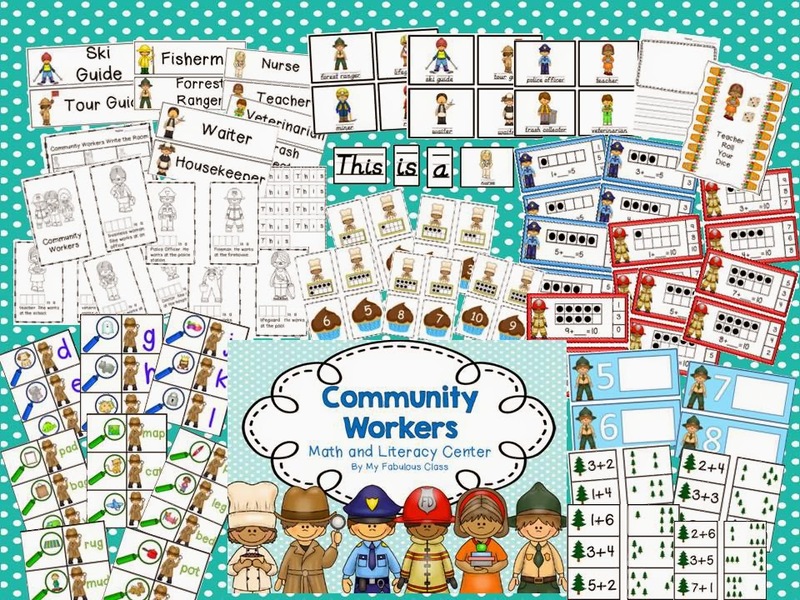 We will be talking about community workers. My girls started playing with the some of the centers, so I have a few pictures. My students LOVED the math mats I made for my Hot Chocolate Math unit. They were STILL playing them last week. 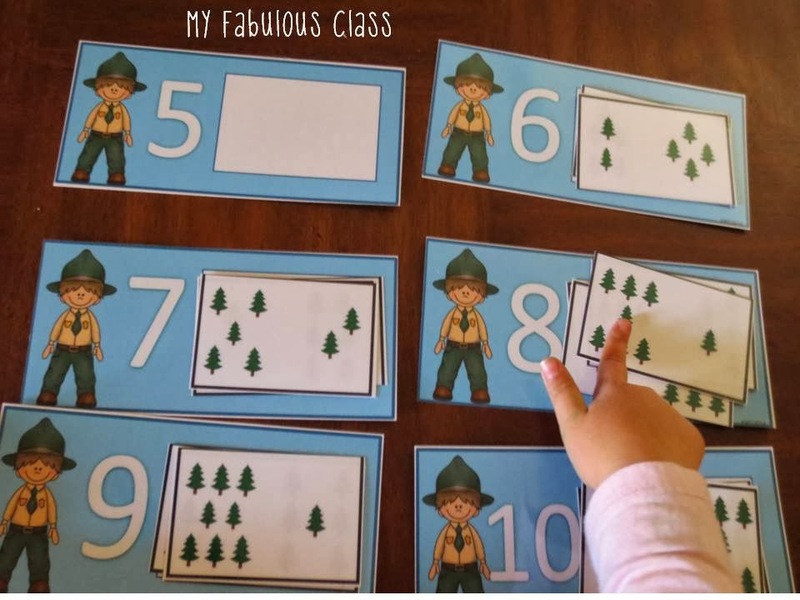 I decided to create these adorable fire ranger counting mats. My four year old did a great job counting the trees and sorting them. Do you notice there are NO FIVES???? I'm not sure where those trees went. I'm hoping they got left at school. Did you notice that they are divided into two groups? 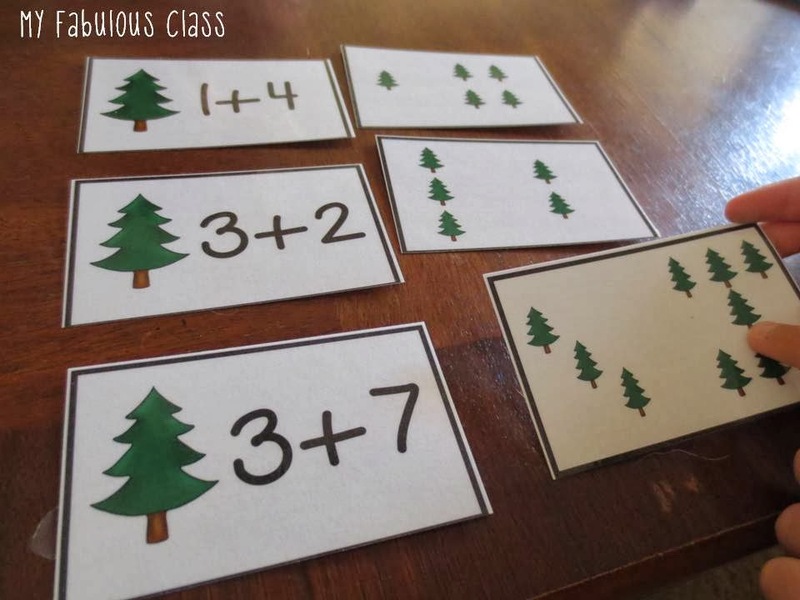 You could also use these tree for a quick subitizing warm up at the beginning of math. Look at the picture on top. 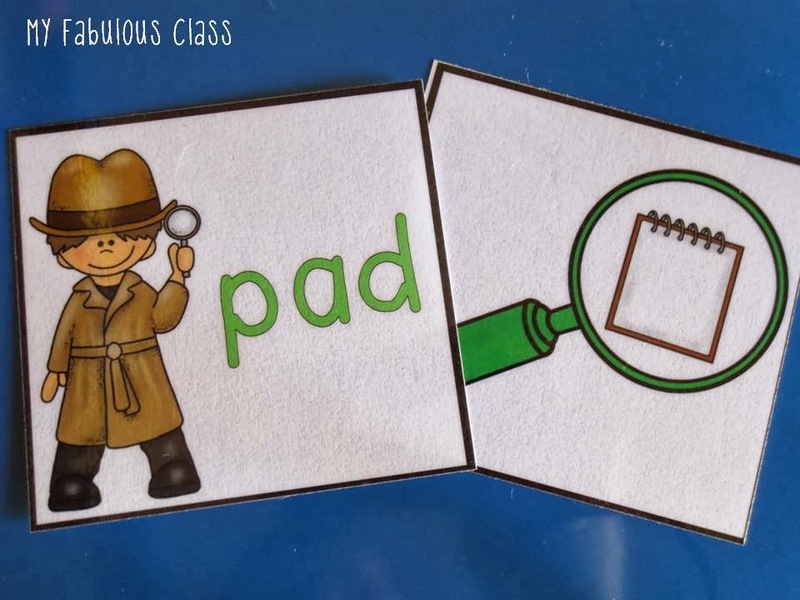 If you were to hold that card up in front of your class, ask your class, "What do you see?" There is no "right" answer to this. Some kids may see 7 and 1. Some may see two groups of 3 and one group of 1. Some may ONLY see 6 and 1. That's still a starting point to see numbers in different ways. Then ask students, "How many are there all together?" Once you have practiced a few times, you could start writing the addition sentence - 1+6=7. 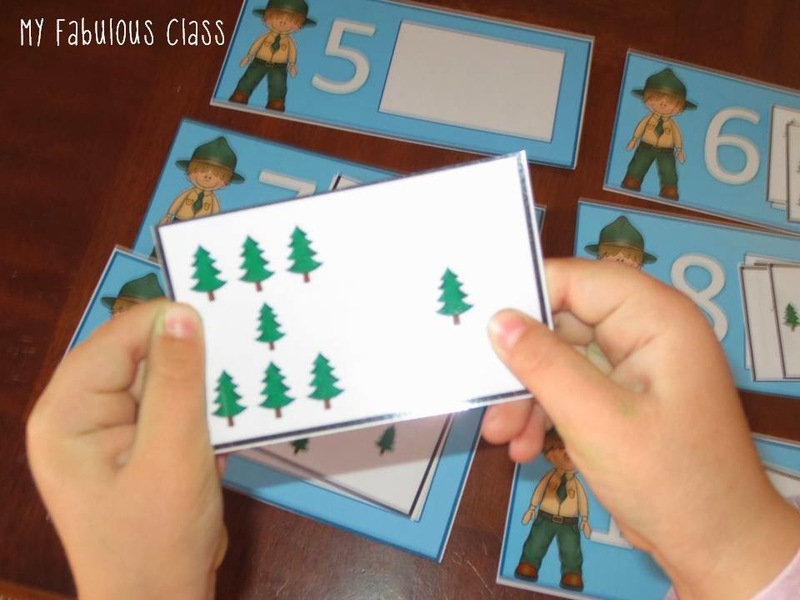 Once your kids start to understand the number sentence part, you can have them match the number sentence to the tree. This is NOT my four year old. LOL. I asked my 9 year old to sort them for me so I could make sure none of these were missing like my five trees! Advance students could also sort the number sentences onto the mats. 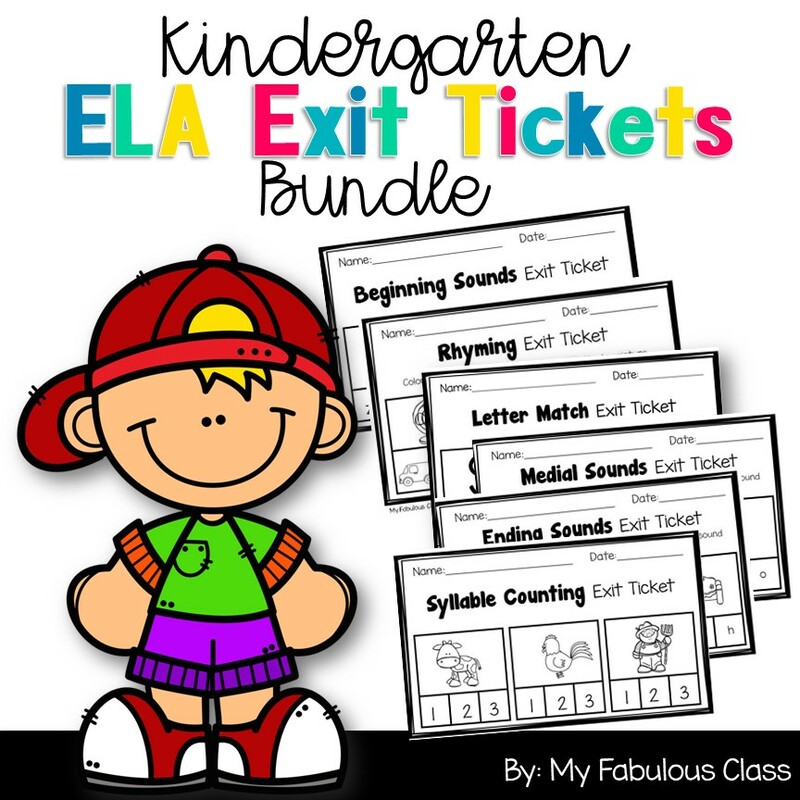 My EA and I talked about how THIS was our favorite. I was pleased that my little one LOVED them too! 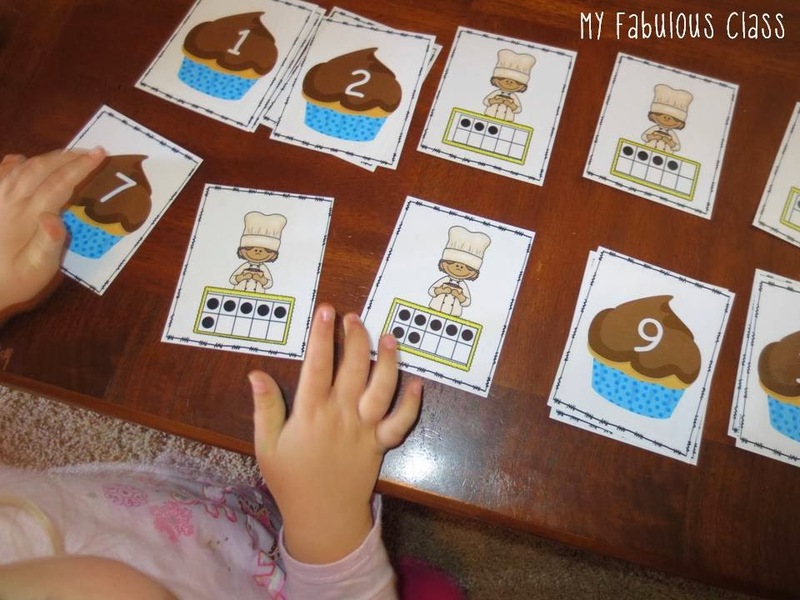 Addison is counting the ten frames and matching the cupcakes. 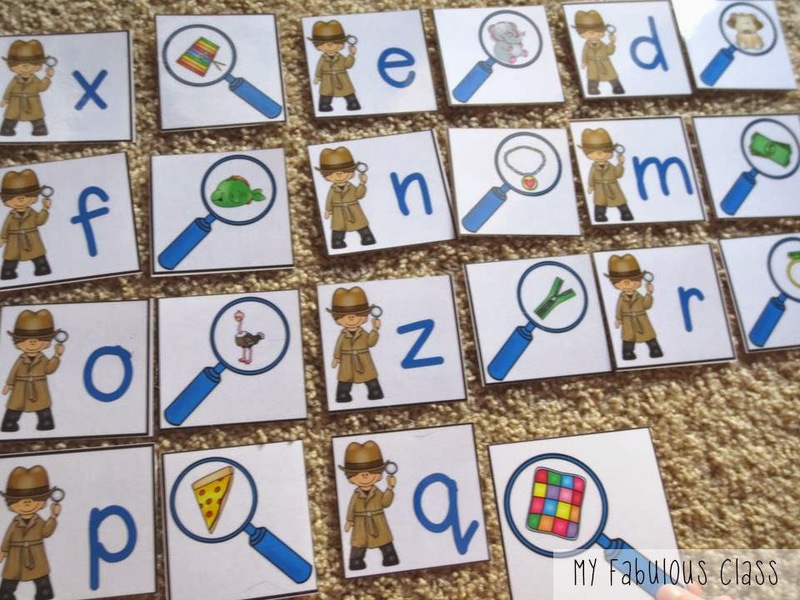 Much like my Valentine's Day Ten Frame Game, there are many different games you can play and many different common core standards you can teach. Students can match them like in this picture or turn them all upside down and play memory. 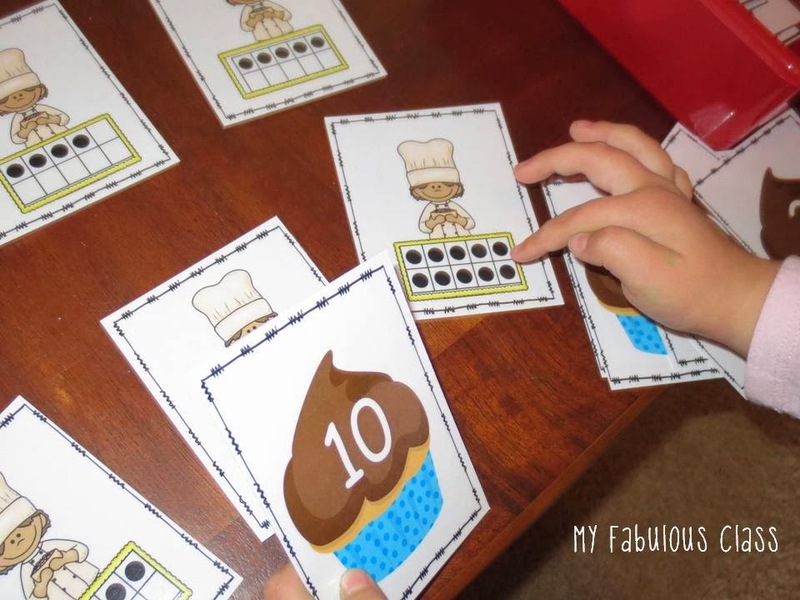 You can play a War game with the ten frames or numeral cards (print multiple sets). 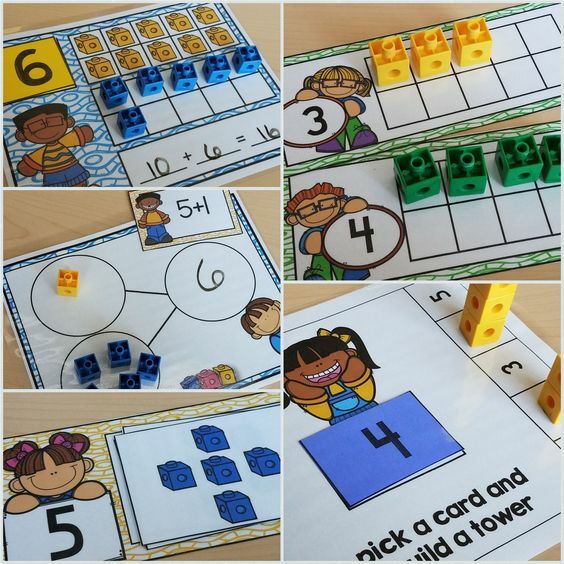 This would teach comparing quantities or comparing numerals. Do you have students who are doing well with sums of five or sums of ten? 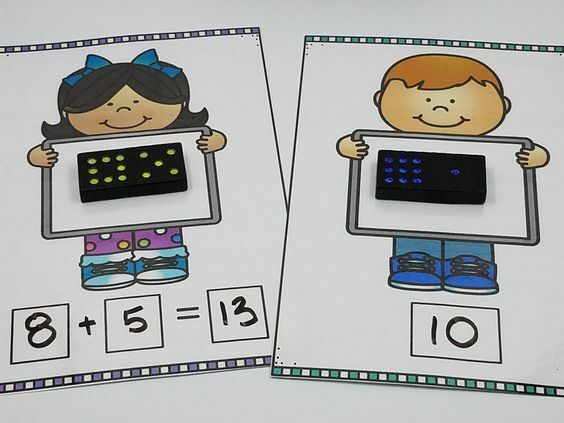 Print two sets of ten frames (or numerals for advance students) and have them practice finding sums of 10. For example, a three ten frame and a seven ten frame. Malia helped her sister with this game. 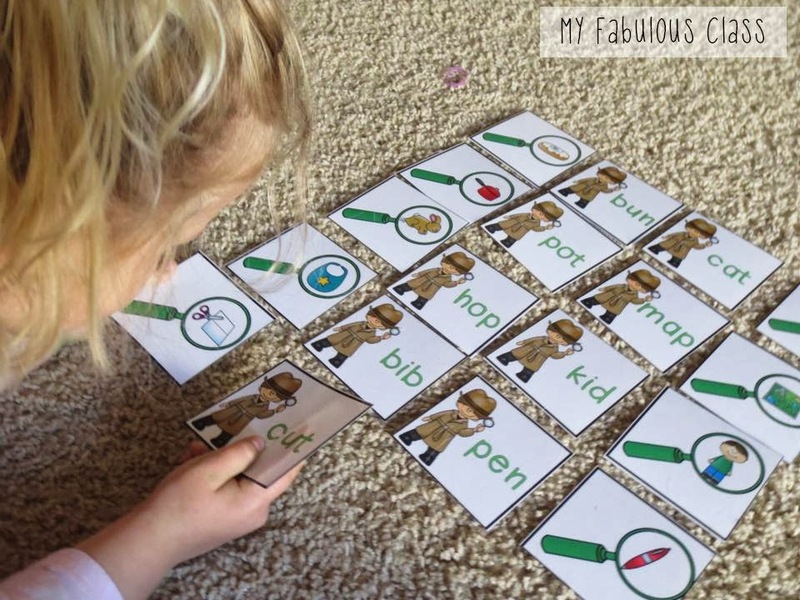 The are matching beginning sounds and CVC words. I have some pumpkins who can not independently read CVC words, so I wanted to make sure these two activities looked similar. 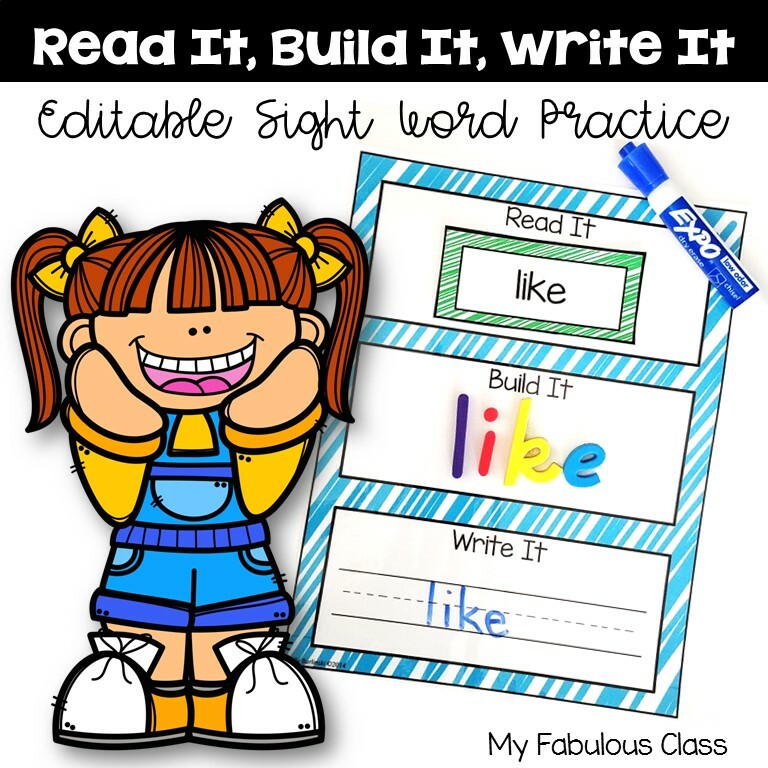 The distinction is in the color of the words/letters and the magnifying glassed. The beginning sounds are blue and the CVC sounds are green. 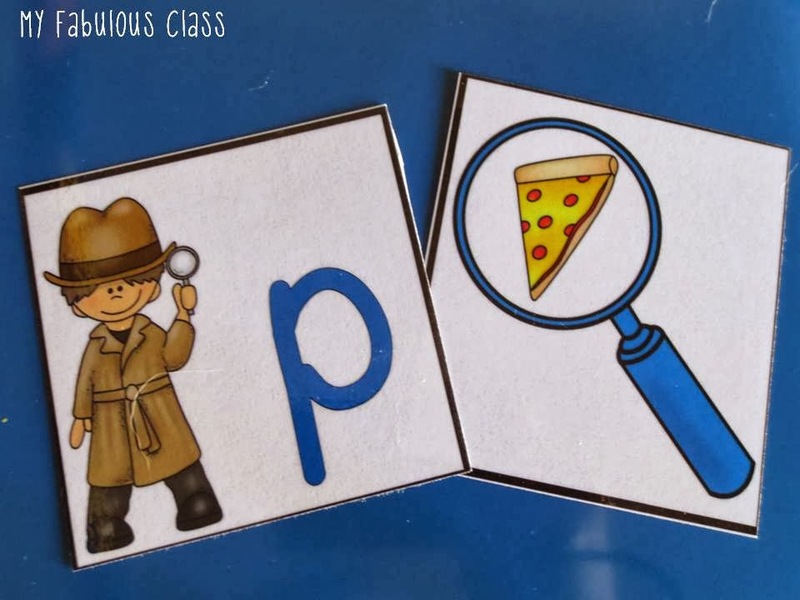 It's an easy way to differentiate without making it look too different and no one will say, "But I want to do the detective..."
You can see the rest of the activities it this pack by clicking the picture below. Do you want to WIN this fabulous unit? Simply pin ANY IMAGE on this page, leave a link to the pin in the comment section with your email, and make sure you are following my blog. I will pick a winner tomorrow. I love your centers and your blog! Thanks for sharing!